A young employee of Samsung, Tahir Alam was presented with a Gold Award for Outstanding Sales and Achievement by the Vice President and the Silver Award for Excellent Sales Achievement by CEO Steve Lee. 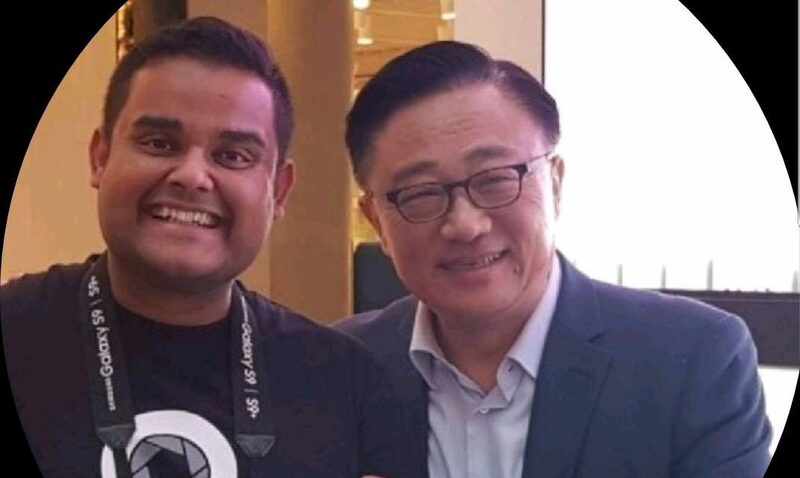 Tahir achieved top results in sales and staff training for 10 Samsung stores in Australia and was highly commended by the regional CEO of Samsung, Mr Steve Lee. 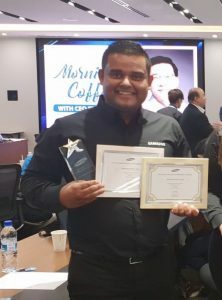 The awards were presented in Singapore on Monday 19 March where 60 employees were invited and nine were awarded out of more than 33,000 Samsung Brand Experts in South East Asia and Australia. 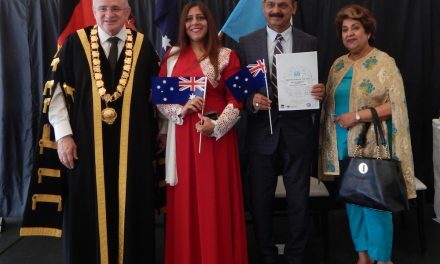 Based on sales results, performance, and local recommendations, Tahir Alam along with his colleagues Liza Pearl and Luke Scaramuzza were chosen to fly the Australian flag as top Australian Brand Experts in Singapore. 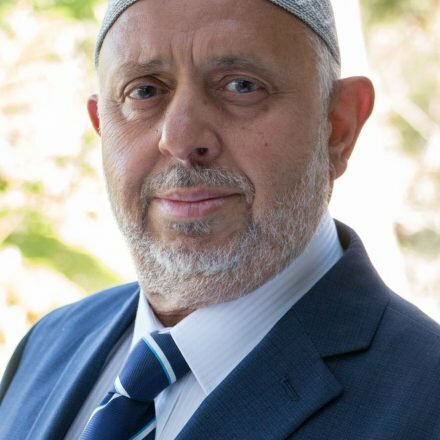 Tahir moved to Australia to join his brother Zahid Alam along with his father Mr Khalid Hussain and mother Farhat Jahan from India in May 2010. He started his educational journey down under from East Hills Boys High School and while was studying joined KFC in November 2010 as a casual employee. After finishing his HSC he attended Petersham TAFE, where he completed a Certificate 4 in Work Health and Safety. In 2013 he was promoted to the Restaurant Manager at KFC and after staying there for 6 years he opted for a change of career joining the position of Brand Expert at Samsung Australia in November 2016. His responsibilities at Samsung include looking after the company line, training staff, sales support, and customer service.